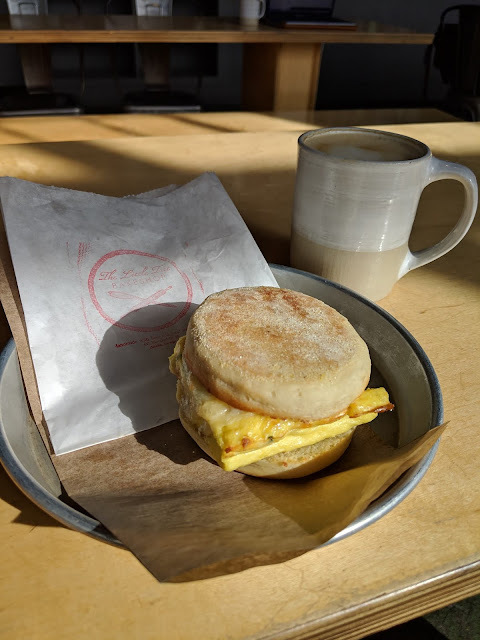 After an evening flight into Atlanta, I met up with my colleague for meetings over breakfast at The Little Tart Bakeshop (which has a Revelator coffee shop that has excellent coffee but you must order separately, which was a little confusing). 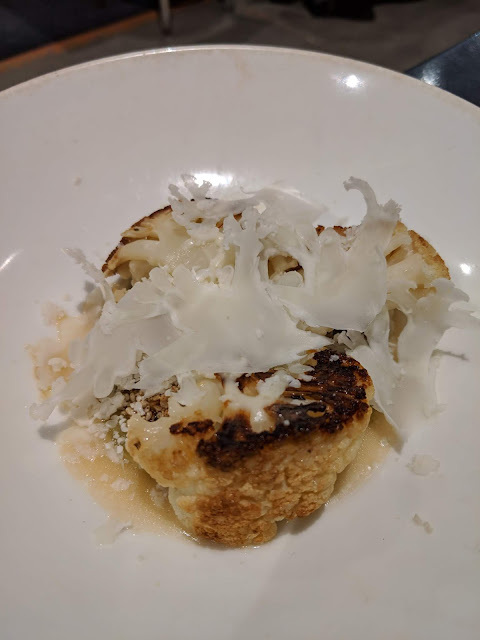 I resisted the amazing looking pastries in favor of this delectable fluffy soufflé-like, melt-in-your-mouth egg and cheddar biscuit. After making some good work progress, we walked around the corner to Six Feet Under Pub & Fish House. 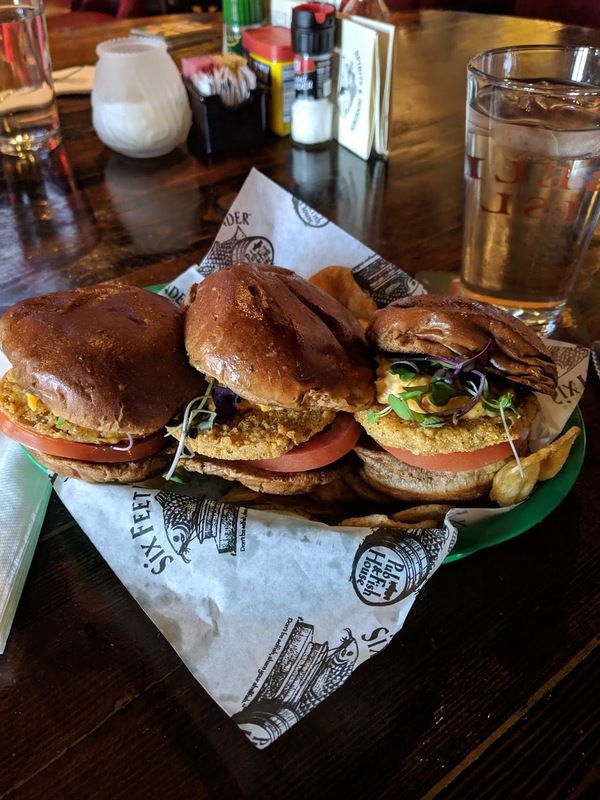 I had these incredible fried green tomato sliders with pimento cheese, red tomatoes and lettuce. It was so tasty! 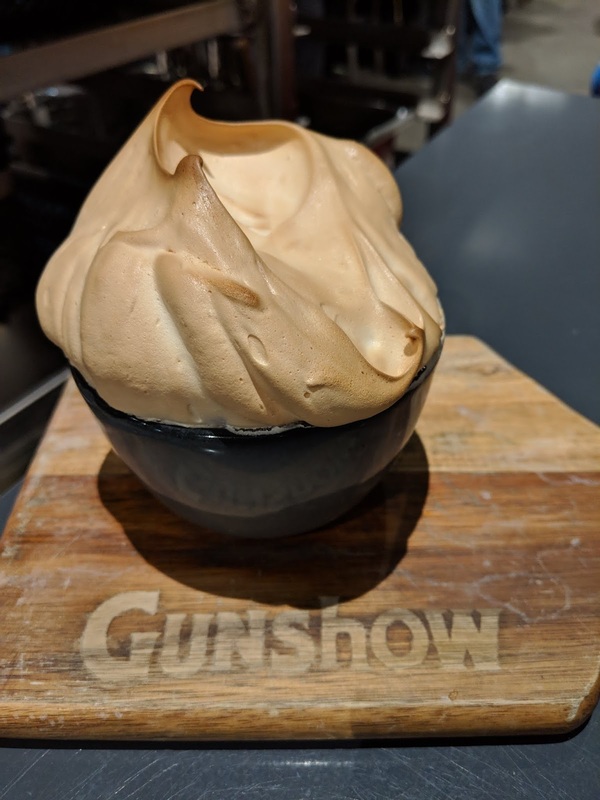 After wrapping up a great day, Lindsey and I headed to Gunshow for dinner. 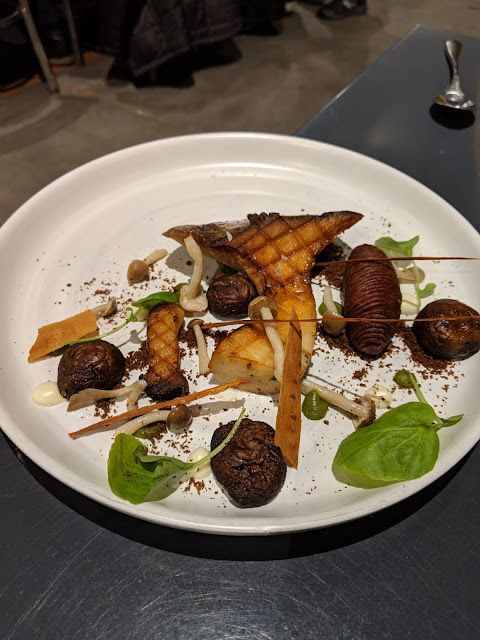 The restaurant is super unique - it features nine chefs who make their dishes and then walk them to your table and you can either take it or pass. 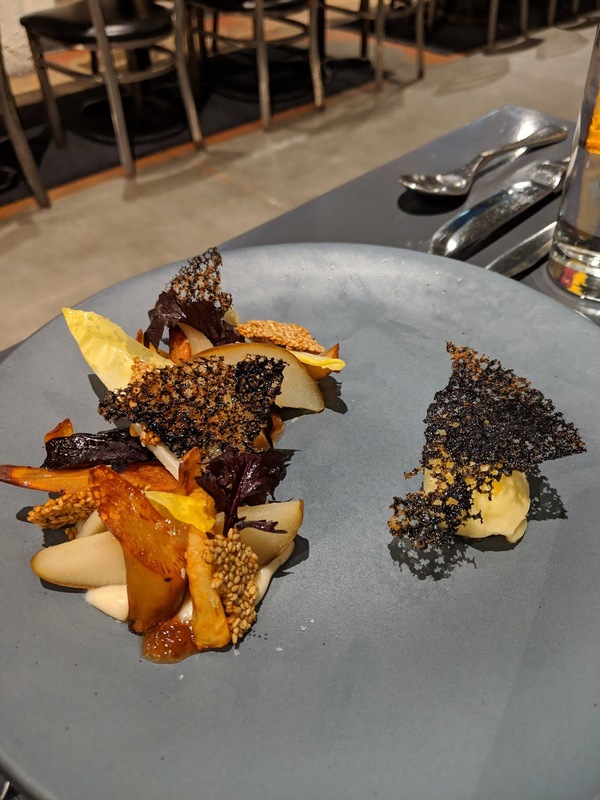 This roasted pear salad with butter poached salsify, yuzu curd, endive, and benne tuile was way to delicious looking to pass on. ...and the owner's grandmother's famous banana pudding, which was served piping hot and was AMAZING! Since the Super Bowl is happening this coming weekend, we have been seeing lots of excited fans and important looking press passes. 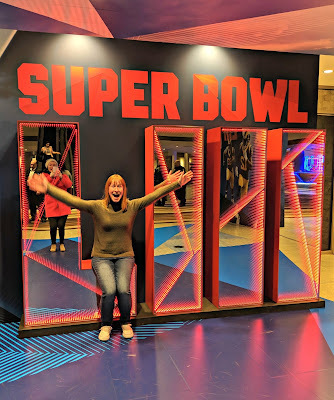 We stopped by a Starbucks for breakfast and discovered that the hotel was also a headquarters of sorts for Super Bowl things - the signage was neon and all over the lobby. I took a quick seat for a photo op. After another great day of meetings, Lindsey and I headed to The Optimist for dinner. We had the nicest waitress and the food was amazing. 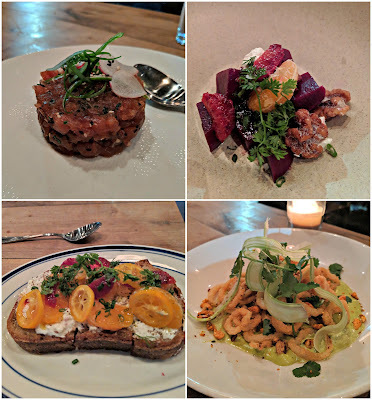 We shared the tuna tartar, the beet salad, the burrata toast and the calamari. 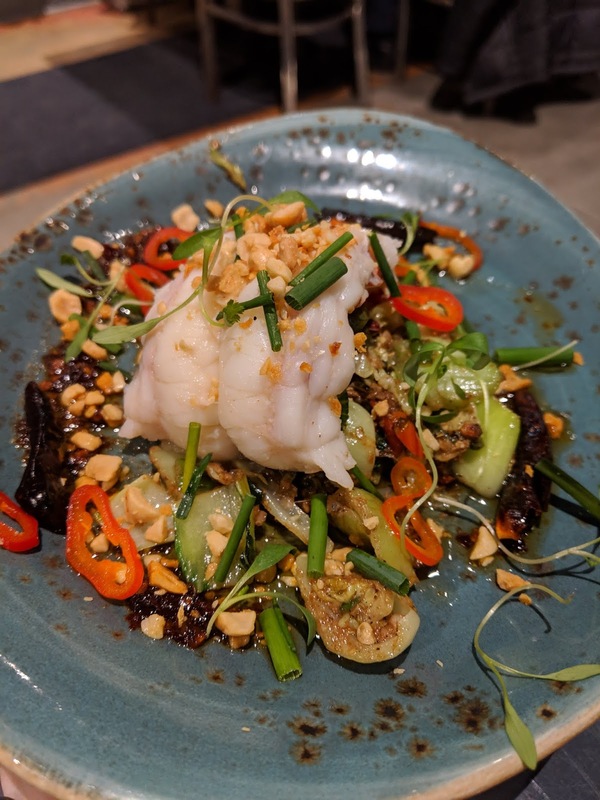 Everything was super flavorful and fresh and delicious. 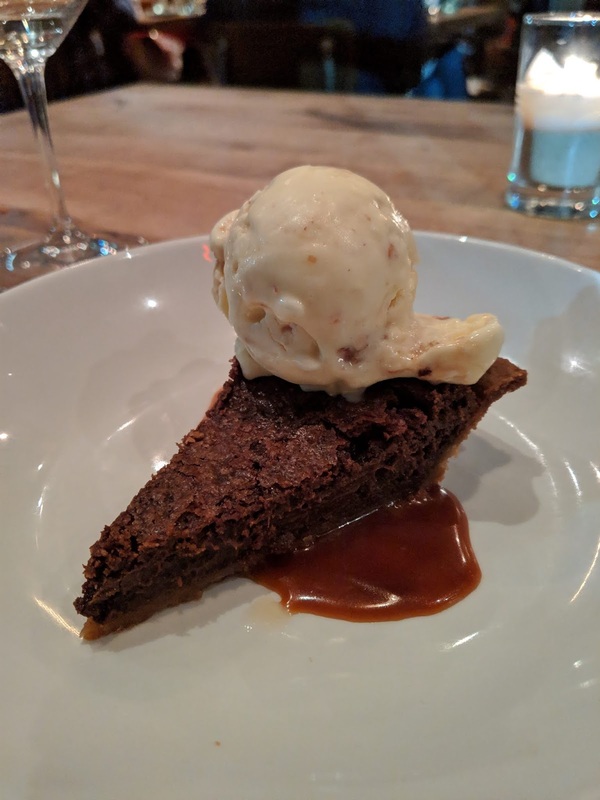 We finished off with the chess pie with peanut brittle ice cream - it's stuff dreams are made of. Not pictured was the most amazing falafel wrap from Aviva by Kameel, which is in the Peach Tree Center Marta station. It's the #1 ranked restaurant in Atlanta on TripAdvisor. We walked up to the line and Chef Kameel greeted us with compliments and delicious vegan minestrone soup. He walked up and down the line telling people that he loved them and passed out samples of soup and dessert. It was just the sweetest welcome into Chef Kameel's restaurant. I would HIGHLY recommend it if you're planning a visit to the city - I didn't get a photo of my falafel wrap because it disappeared pretty quickly. Thanks for joining in my culinary adventure. For more on the cocktail highlights, check out my Instagram.